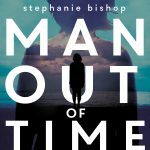 Australian Recent Release: Man Out of Time by Stephanie Bishop. From the award winning author of The Other Side of the World comes the moving and provocative story about self destruction and the complications of inheritance. After Stella’s Father disappears in September 2001, the police come knocking on her door. She doesn’t know how to answer their questions. A long time ago, Stella watched her Father fall apart, watched him cry as he tried to make amends for his failures, for the dreadful things he had done. Now he is missing, and Stella holds the key to his whereabouts, but does he want to be found? And, after all that has happened, does Stella want to find him? Man Out of Time is a deeply moving and exquisitely crafted novel about how family ties and the memories we carry can distort our view of the world, and sometimes, ourselves. 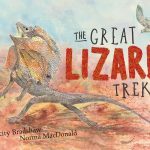 Kids Recent Release: The Great Lizard Trek by Felicity Bradshaw and Norma MacDonald. Rocky is an ornate dragon who lives on great granite rocks in south-west Australia. Further north, where the climate is getting hotter and wetter, his desert relatives are having trouble with their eggs. As Rocky’s friends and family trek across the country in search of a new home, Rocky shares stories and passes on local Indigenous knowledge and Western understandings of the changing environments and how it is affecting the animals who inhabit them. Written by Felicity Bradshaw, a retired Research Officer at the University of Western Australia, and beautifully illustrated by Norma MacDonald, an Aboriginal Yamatji artist, The Great Lizard Trek is a wonderfully entertaining and educational read for primary aged children. 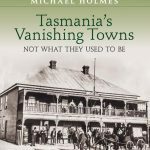 Tasmanian Recent Release: Tasmania’s Vanishing Towns – Not What They Used to Be by Michael Holmes. The follow-up to Holme’s popular Vanishing Towns – Tasmania’s Ghost Towns and Settlements, this engaging and informative book features fantastic new material and even more wonderful photos. A great book for the coffee table. 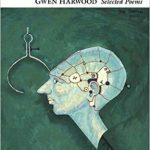 Tasmanian Classic: Mappings of the Plane– New Selected poems by Gwen Harwood, edited by Greg Kratzmann and Chris Wallace-Crabbe. Gwen Harwood was one of the most celebrated Australian poets of the twentieth century. She settled in Tasmania with her husband in 1945, and it was here she wrote the majority of her poetry. This collection showcases the full range of Harwood’s brilliant writing, which is in turns musical, witty, poignant, sensuous and mischievous. An informative introduction by leading Harwood critic Gregory Kratzmann and Australian poet Chris Wallace-Crabbe, who corresponded with Harwood, provides useful context for the collection.